United Nations, (UN News Centre) 24 September 2018 — The United Nations Secretary-General launched a new partnership strategy with the world’s 1.8 billion young people on Monday, to help put “their ideas into action”. 1. Opening new routes to involve young people and amplify their voices. 2. Strengthening the UN’s focus on their accessing education and health services. 3. Placing their economic empowerment at the fore of development strategies, with a focus on training and jobs. 4. Working to ensure their rights, and civic and political engagement. 5. Prioritizing support for young people in conflict and in humanitarian crises, including their participation in peace processes. 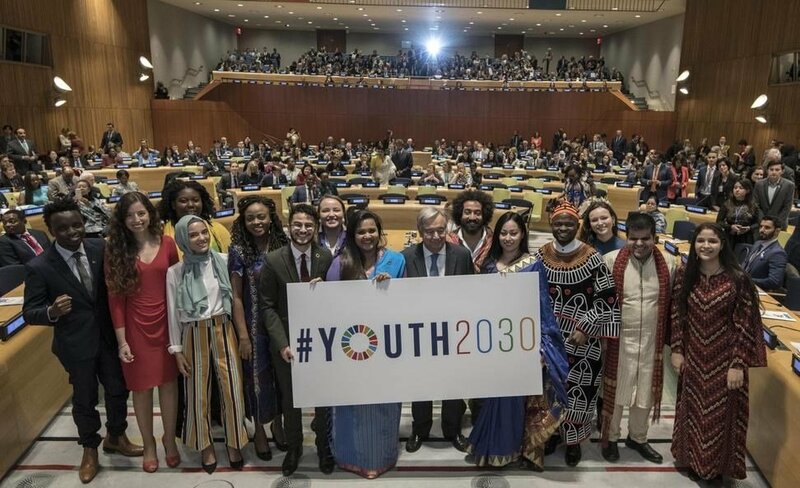 Batool Al-Wahdani, a young Jordanian doctor representing the world’s youth, spoke at the launch of the Youth 2030 Strategy, at the Headquarters in New York. 24 September 2018. UN News / Screen capture.